Alec "Tex" Brown - Teacher, Cessnock. Recorded 3 April 1981. Herbert King (1912-?) - Greta Migrant Camp School. Recorded 24 April 1984. 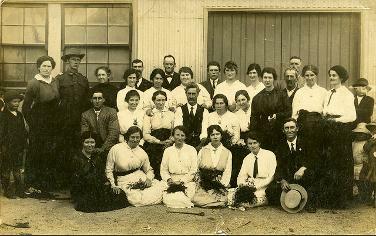 Sunday School picnic - the teachers, [c. 1914]. Courtesy of the Coalfields Heritage Group.